Echo Hose Ambulance teaches hundreds of local community members and city employees CPR each year. In addition, in partnership with the Shelton Public Safety Director, the organization maintains over 18 Automatic External Defibrillators in the community. This helps the City of Shelton maintain its HeartSafe Community status with the State of Connecticut. HEARTSafe Community® is a program designed to promote survival from sudden out-of-hospital cardiac arrest. It is a general concept focused upon strengthening the “chain of survival” as described by the American Heart Association; it recognizes and stimulates efforts by individual communities to improve their system for preventing sudden cardiac arrest (SCA) from becoming irreversible death. 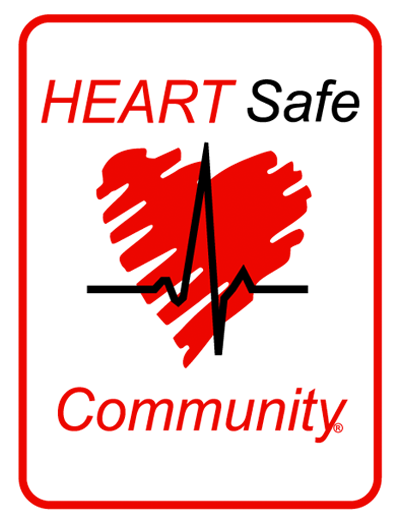 In the basic HEARTSafe model, the State of Connecticut Public Health Department establishes a set of minimum criteria its communities must meet in order to achieve HEARTSafe status. These are goals that support the chain of survival, such as widespread CPR instruction, public access defibrillators, and aggressive resuscitation protocols for first responders and area hospitals. Echo Hose Ambulance and the City of Shelton is proud to be a HeartSafe Community. When CPR is performed immediately, CPR can double a person’s chance of survival. Echo Hose Ambulance teaches these lifesaving skills to private group, organizations and members of the community throughout the year. When CPR is performed immediately, CPR can double a person’s chance of survival. 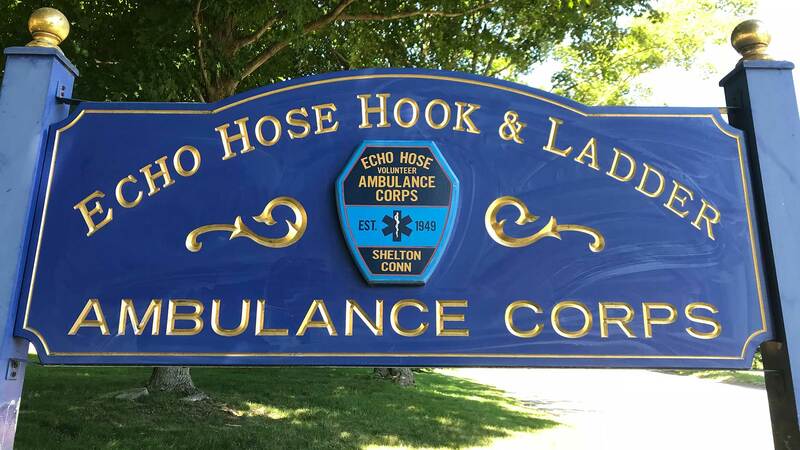 Echo Hose Ambulance teaches these lifesaving skills to students within various grades in the Shelton School District. Starting as early as fourth grade, Echo Hose Ambulance can provide CPR training to students free of charge. The CPR in school’s program began in May 2018. Echo Hose Ambulance trained all 8th graders at Shelton Intermediate School and all 4th graders at Elizabeth Shelton Middle School. When CPR is performed immediately, CPR can double a person’s chance of survival. Echo Hose Ambulance is invited on a regular basis to local companies to train their employees CPR and AED skills. Hands-Only and certification classes are offered to local Shelton companies. The Hartford Consensus Group recommends that the response to a traumatic incident, whether involving an active shooter or some other cause of injury, in fact, begins with bystander response. Stopping life-threatening bleeding within the first 2-3 minutes of a severe bleeding emergency saves lives. Echo Hose Ambulance invites the community to attend a scheduled program or coordinate a group class to learn these life-saving skills. Local Boy and Girl Scout troops working on their Merit Badges regularly visit Echo Hose Ambulance to learn about First Aid and Safety topics. Our crews meet with the children and train them in CPR, Relieving an obstructed airway and other various First Aid topics. Echo Hose Ambulance is always willing to attend Touch a Truck events and local Health and Safety fairs at schools and businesses. Our crews are available to help educate members of our local community about the EMS system, our organization and display equipment for the public to view. Please click here to request an ambulance or crew at your next event. Drug Education and Prevention programs are coordinated with many local partners throughout Shelton and the entire Valley. Echo Hose Ambulance helps coordinate these programs to help educate, prevent and/or support those dealing with the effects of drug addiction. Prevention programs and emergency Narcan Administration programs are offered on a regular basis. Echo Hose Ambulance also provides regular space at our training center for our community partners to deliver programs and support groups. One of our community partners is the C.A.R.E.S. Hope & Support Group. The C.A.R.E.S. Group offers free, weekly support groups, that provide ongoing education, support services, and treatment resources for families and community members dealing with issues related to substance abuse and addiction. The group meets weekly at our training center located at 430 Coram Ave. For more information, please visit www.thecaresgroup.org.